When an individual is faced with finding addiction treatment for themselves or a loved one, one of the first things they discover is that there are essentially two kinds of rehab options: county and state-funded rehab and private rehab. Understanding what this distinction entails, including quality of care, affordability, accessibility, insurance coverage, types of services, and more, can considerably expedite the search for effective treatment and cut down on wait times. Finding the program that works best for you or your loved one the first time can dramatically diminish the risk of relapse. 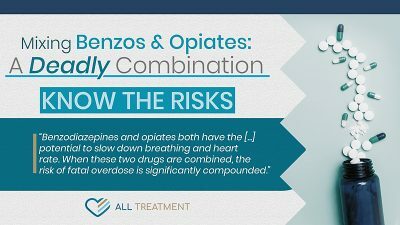 The Centers for Disease Control and Prevention (CDC) reports that over 63,600 Americans died from drug overdose in 2016. In the meantime, alcohol addiction continues to contribute to the deaths of about 88,000 Americans per year. Only 10 percent of the over twenty-one million Americans who meet the criteria for clinical addiction care actually receive it. The rampant escalation in opioid addiction and other types of chemical dependency combined with the scarcity of treatment resources have compelled stakeholders in every area of the conversation to increase access to these lifesaving programs. 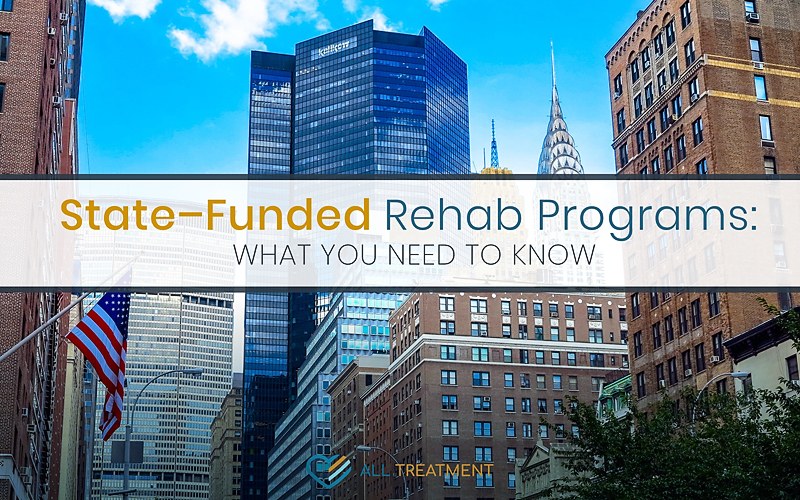 As a result, more and more state-funded rehab assets have emerged, with each state has their own resources for patients in need. State-funded rehab facilities are entities subsidized by state resources, either through Medicaid grants or general budget resources. They can represent a lifesaving source of help for those who are uninsured or underinsured by their employer. State-funded rehab is a budget-friendly option for those who find private treatment cost-prohibitive. They are usually either free or significantly discounted to patients who meet eligibility criteria, and provide basic addiction treatment mental health services, including detox and behavioral counseling. Like any other type of service-based organization, a state-funded rehab’s quality depends on the amount money supporting it. Unfortunately, some programs are better funded than others, rendering prospective patients vulnerable to geographical and economic disparities. In a climate where many substance use disorder (SUD) sufferers are immediately priced out of the market for quality treatment, state-funded rehab programs can be a pivotal and cost-effective resource in stemming the tide of overdose. More and more patients are getting the help they need at a price they can afford, thanks to these programs. The National Institute on Drug Abuse (NIDA) reports that between state, private, and federally funded programs, there are over 14,500 treatment facilities for drug and alcohol addiction, with these facilities differing in quality and makeup. Services offered at state-funded rehabs are usually based on funding, personnel, and a variety of other factors. Depending on the facility you choose, these treatment centers can offer different kinds of rehab programs, including but not limited to inpatient, outpatient and intensive outpatient, and partial hospitalization (PHP). Unfortunately, when it comes to state-funded rehab, the phrase “You get what you pay for” very much applies. The wait-lists for these programs can be very long (often weeks or months), and the resources can be rather limited because they are not fully funded. The quality of these programs is often subject to state budgets, Medicaid resources, and other factors. When Medicaid recently offered states more money for treatment resources within their communities, some states opted to take it and some didn’t. The good news is that practically every state has seen the need for heightened access to treatment, and most are making more room in their budgets. How Do I Find a State-Funded Rehab Facility? Individuals looking for state-funded rehab programs have a variety of resources to help with their search. State mental health–services entities will be able to provide detailed information regarding program accessibility, location, services, and more. AllTreatment.com provides a comprehensive directory of programs and a 24/7 help line for those looking for further assistance. State-funded rehabs have their perks and disadvantages; the most important thing is to not let the great be the enemy of the good. Publicly funded treatment resources are getting better and better, and the most important thing is to seek treatment wherever available.